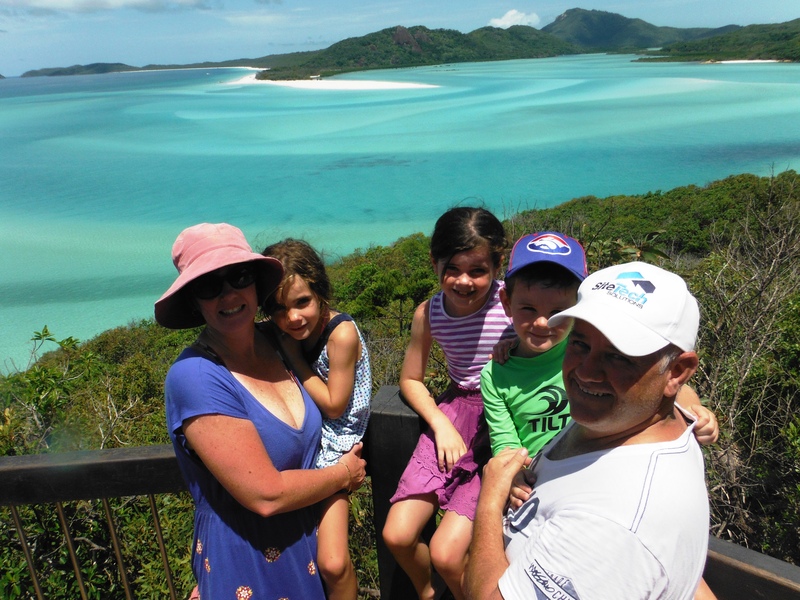 We stayed in the family room at the Nomad’s Backpackers and we went to Whitehaven with Ocean Rafting Day Tours. 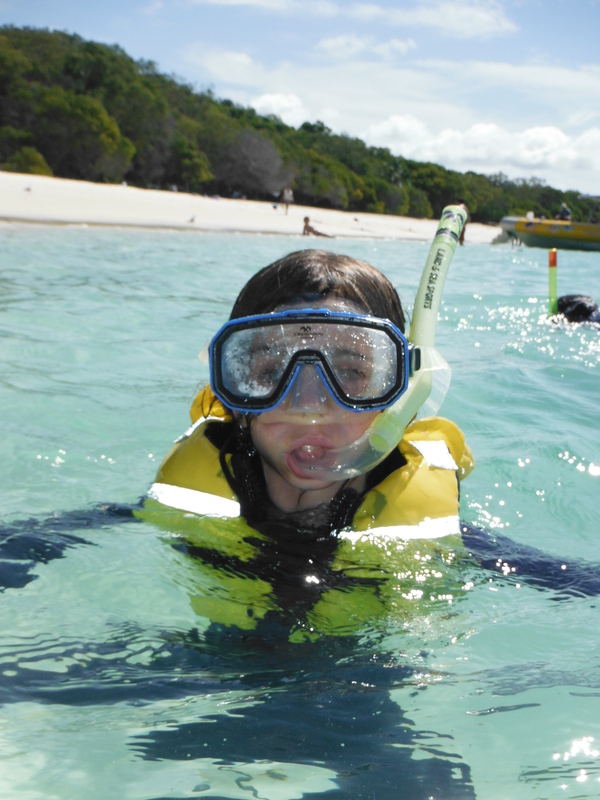 I had so many great photos from our day at Whitehaven that I had to share a few more. Below you will find my favourite photos from the day, some are in the other posts and on Facebook or Instagram but some are totally new. 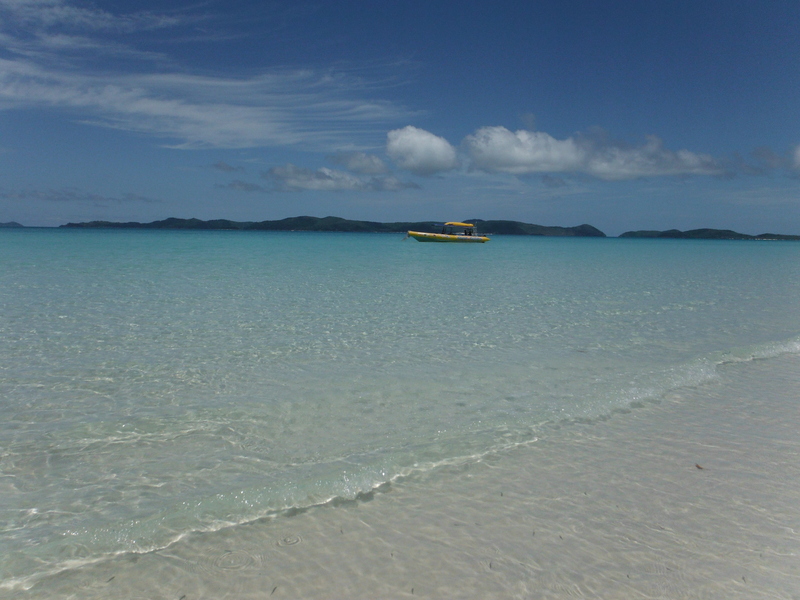 Whitehaven Beach is a 7km stretch of beach along Whitsunday Island. 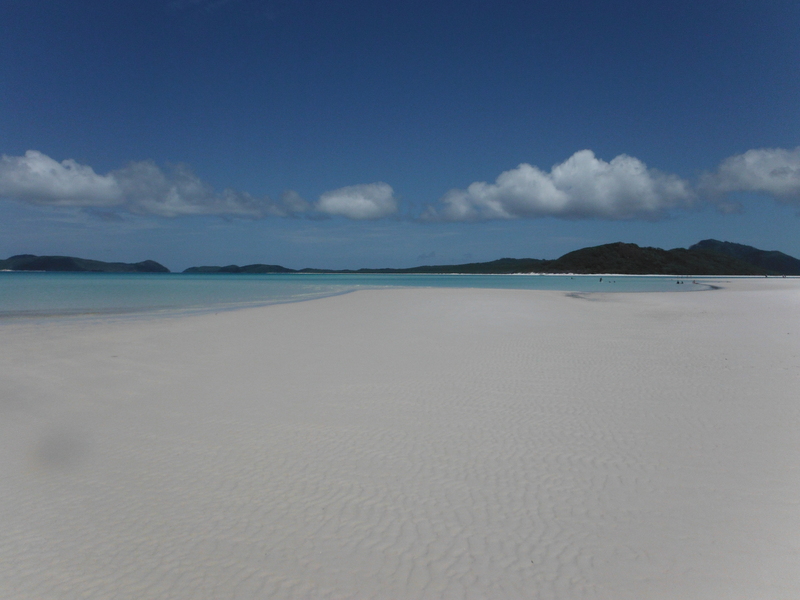 Its known for its white sand, the sand consists of 98% pure silica which gives it its bright white colour. 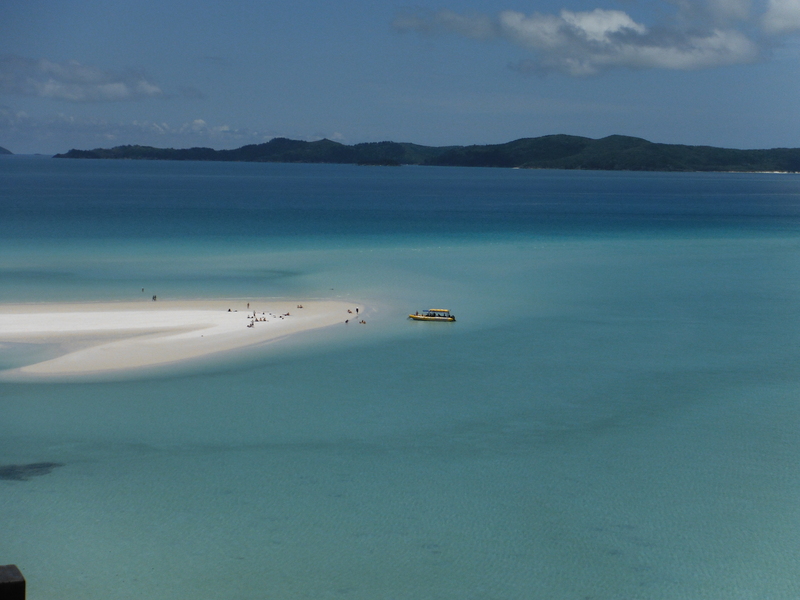 At the northern end is Hill Inlet, a stunning cove where the tide shifts the sand and water to create a beautiful fusion of colours. 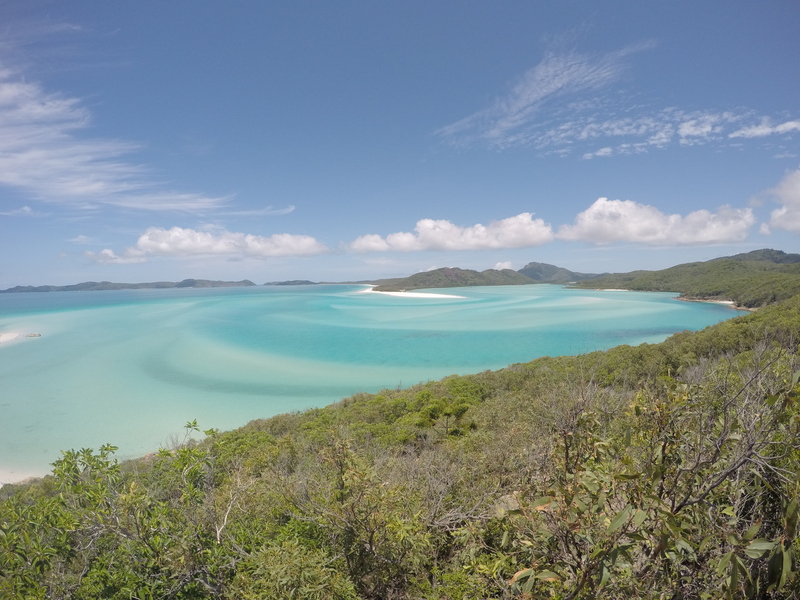 We were dropped off at Tongue Bay and hiked a short 15mins over the hill to Tongue Point which is the best place to view Hill inlet and to get the amazing photos that you see below. 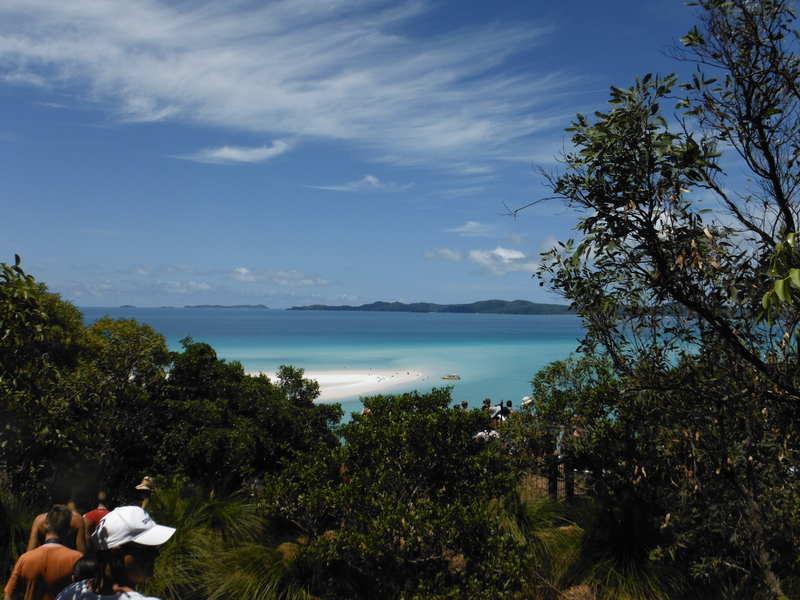 Our first peak of Whitehaven Beach coming over the Tongue Bay trail. Our Ocean Rafting vessel waiting for us to return. 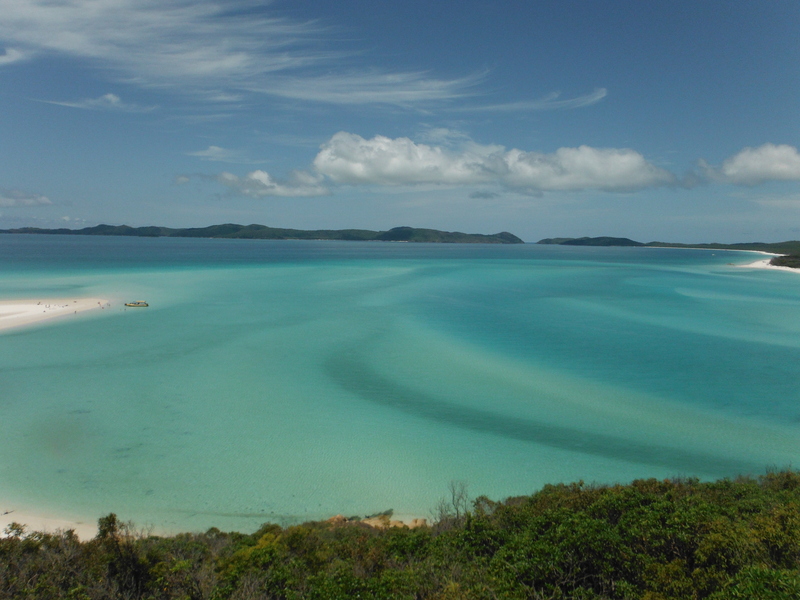 Swirling blue and turquoise of Whitehaven with the tide in. 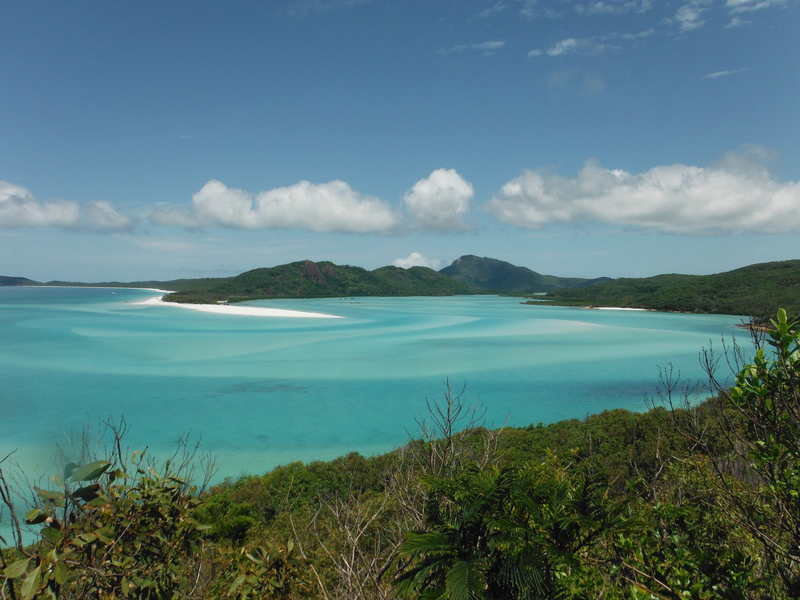 Whitehaven – could look at it all day! 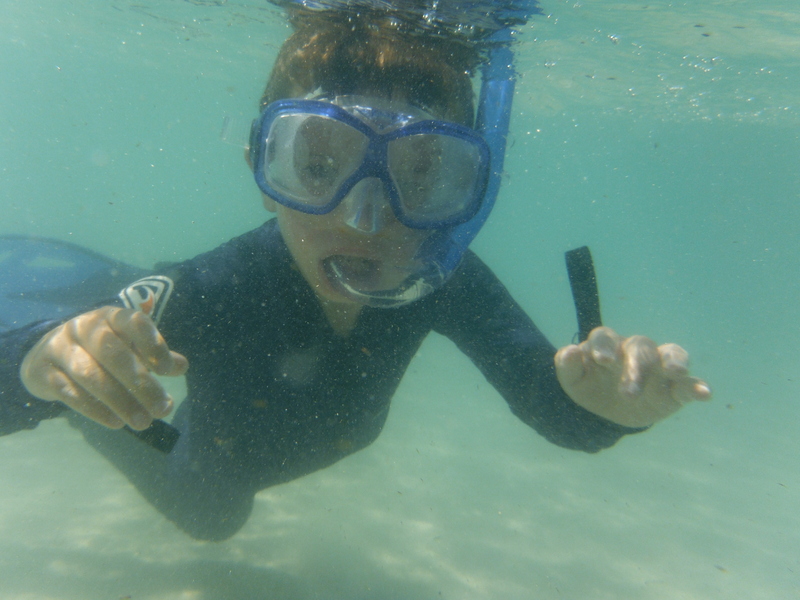 Last one, this was on the GoPro Hero 4. Walking back out to the Ocean Rafting vessel. 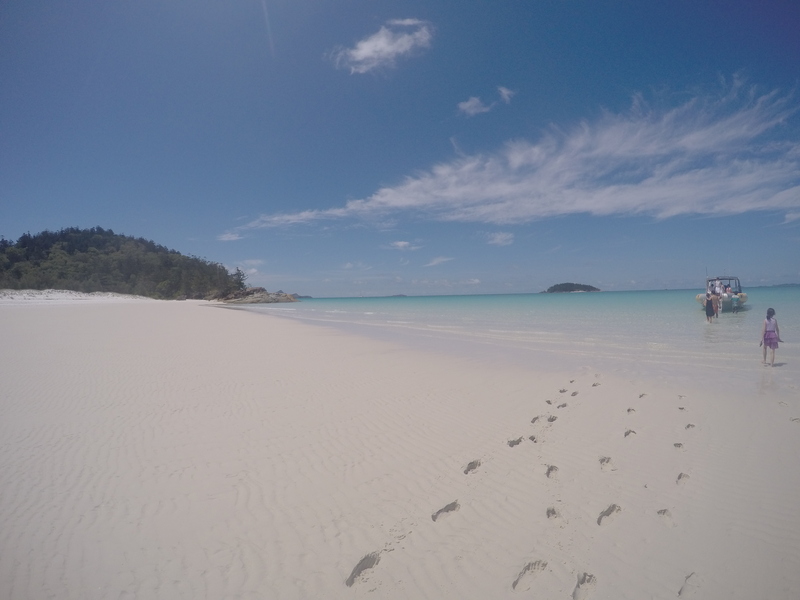 My favourite photo – the kids footprints going back to the Ocean Rafting vessel. 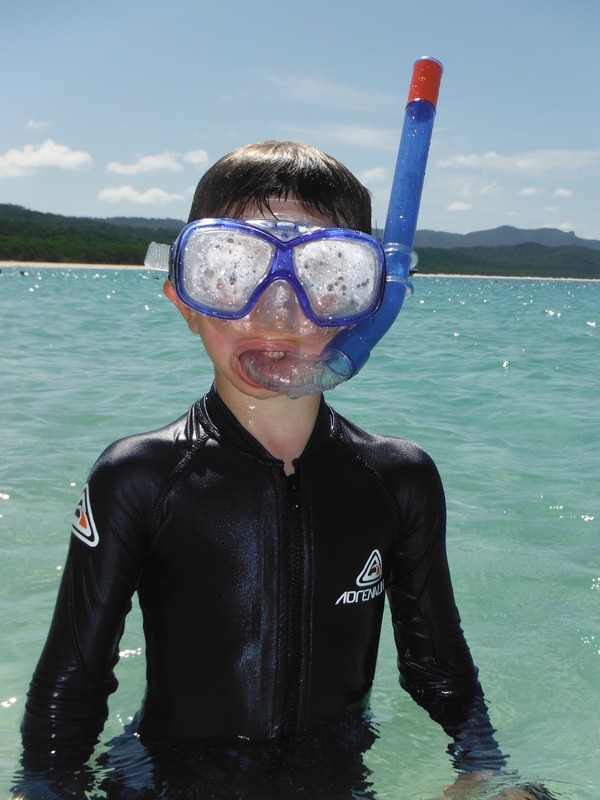 Caelan all ready to snorkel on Whitehaven Beach. 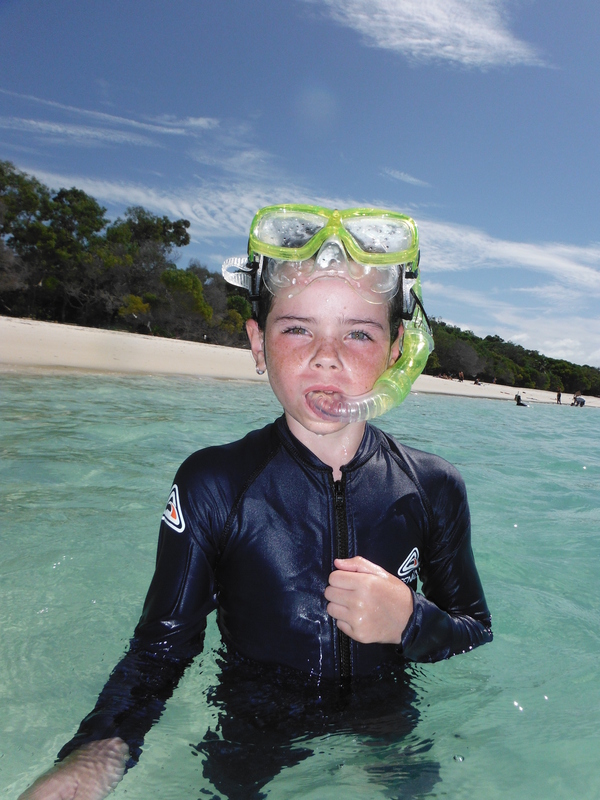 Caelan action shot snorkelling at Whitehaven Beach. 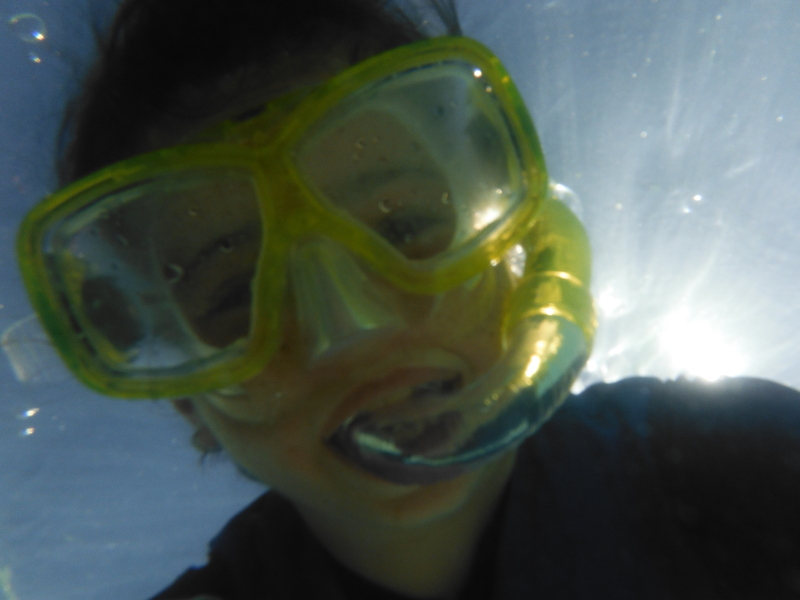 Last one of Alannah snorkelling! These are a few of my favourites, there’s many more but I think you might have had enough! Please add in the comments below any links to posts that you have completed from your trips to Whitehaven, I would love to read about them. 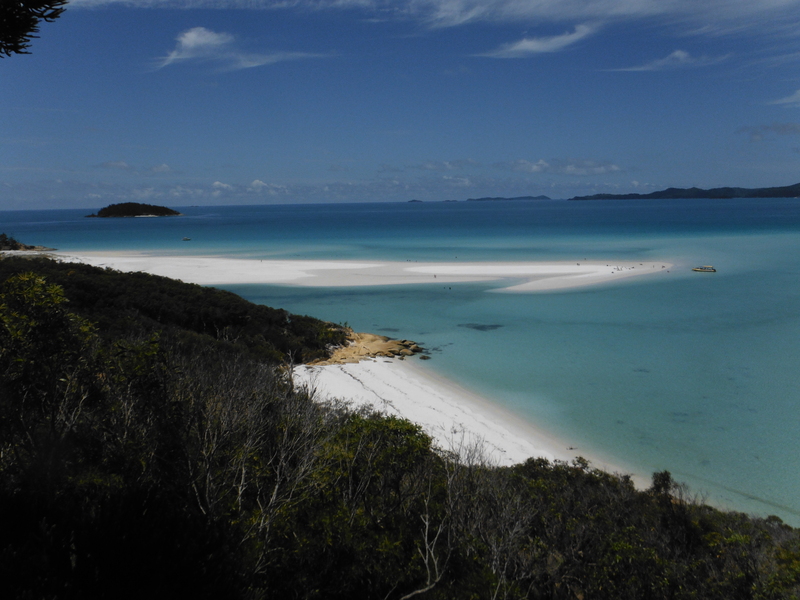 Especially if they have photos of Whitehaven at tide out, I think it would be amazing. Oh and don’t miss Hydeaway Bay, a secret little gem given to me by the bar man! Thanks, its one of the most beautiful places I have ever visited. Its just a shame that everything is so expensive up there or we would visit more often.